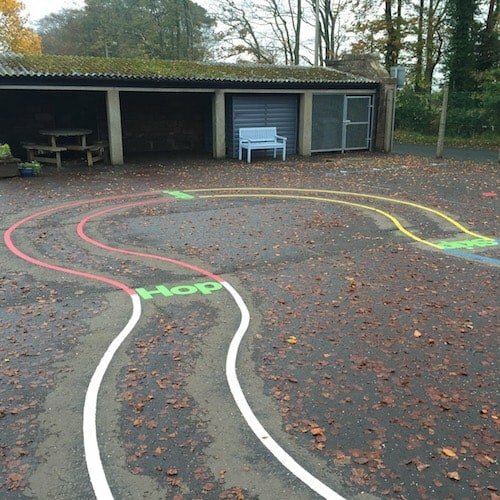 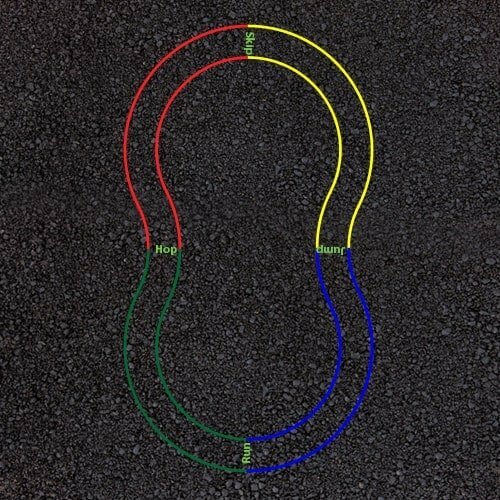 A colourful training circuit for young children to run around. 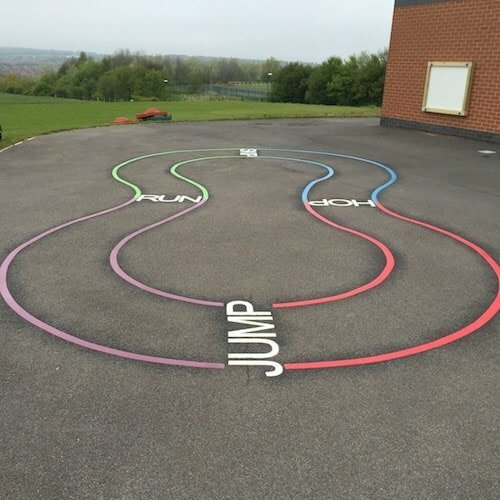 Children HOP, SKIP, JUMP and RUN around the track. 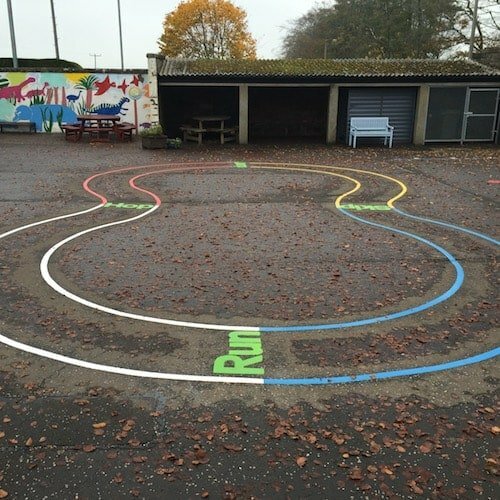 Ideal for PE lessons or breaktimes where children can make up their own games and sporting events.